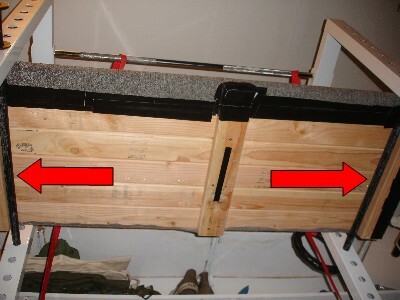 Following a recent forum thread about sandbag loading, I’ve received several questions about suitable loading platforms.Â In the past, I’ve used a homemade wooden bench (that was built for other purposes).Â The downside to the bench was the fixed height. Several months ago, I built an inexpensive platform that I custom fitted to my power rack.Â Based on the questions that have come through this week, I’ve snapped a few pictures for those who are interested. 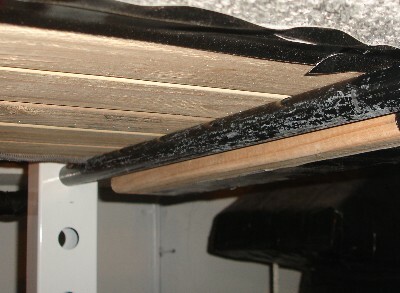 I used 2×4’s to build the platform.Â The total lumber cost was approximately 12 dollars.Â I simply cut the length to the size of the rack (using six 2×4’s across).Â I then stapled an old carpet on top to minimize the chance of splintering.Â If carpet is not available, be sure to sand down any jagged edges. In the image below, you can see how I’ve cut strips of 2×4 to hold the platform together (on the bottom).Â The outer strips also serve to keep the platform in place.Â The arrows point to where the strips are fitted to the bars of the rack. This 12 dollar platform is also easy to store.Â It can be placed against the wall when not in use.Â It doesn’t take up any room. 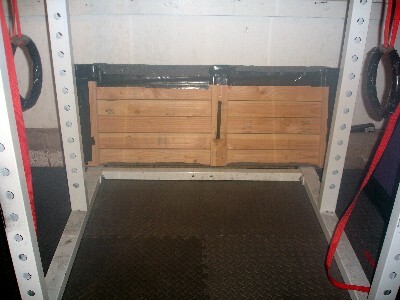 The primary benefit to this simple platform is the ability to quickly adjust height.Â With a fixed bench, the only available progression is weight.Â With a platform and rack, you can quickly change the exercise by adjusting the height of your load. The downside is that you need a power rack to make use of such a platform.Â Power racks are obviously useful investments however (for many other reasons).Â Adding a 12 dollar platform that can be stored up against the wall has proved to be a useful addition.Â Although certainly not fancy, this is perhaps the easiest piece of homemade equipment you’ll ever build. As for how you can use it, there are several loading options available.Â In the video below, I’ve filmed just a few possible variations.Â There are certainly others that you could use as well. For more information regarding homemade equipment, be sure to visit the link below. Great Ross! Thanks for sharing. It isn’t a hassle to find 2×4’s which is why I used them. Anyone can find 2×4’s at a local lumber shop and all that is required is a basic saw and screws to finish the job. Seeking out a pallet that may then need to be cut is a hassle that I’d rather do without. 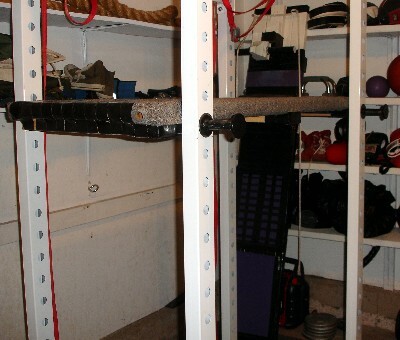 You have the most inventive ways to add inexpensive items to an individual’s workout arsenal. I often get lower back ache after doing sandbag complexes and sandbag clean and press tabatas. I try make sure I’m using my legs during the lift and keeping my back straight. Any other ideas? Hi is sand bag training good for weightloss or is it just for improving strength? Hi Ross, I’ve been a fan of your site for a while now. I am currently trying to find a power rack for my garage gym. Are there any that you recommend? Thank you. 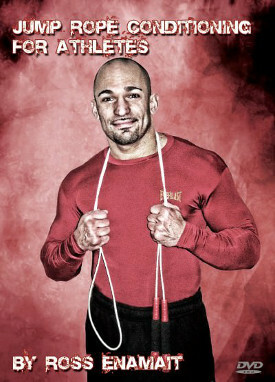 Awesome practical strength training, I love this stuff!